What is the difference between a Nylon US flag and a Polyester US flag? This is a question we hear daily. Both are made for outdoor use. Both have Sewn Stripes. Both have Embroidered Stars. Both are Made in the USA. Polyester Flag Material: Our Polyester flag material is Two-Ply heavy material. It looks and feels like traditional cotton. The open-weave fabric allows the wind to blow through the fabric which will prolong the life of the flag. This is the most durable outdoor flag material. Nylon Flag Material: Nylon is the most versatile flag material. It combines lustrous beauty and rugged strength. Flutters nicely in the wind. Treated to resist sun and chemical deterioration. Still have questions....feel free to contact us, we would love to help you figure out which material would best fit your needs. Posted on July 28, 2014 by Kim Griebling and tagged US Flag USA Flag. Brookfield Residential, in Denver, Colorado, will be hosting their Grand Opening this weekend, March 16th. Their new community, Midtown, is located at Pecos and 67th in unincorporated Adams County. The infill community is adjacent to Clear Creek Trail and is featuring homes starting at $300,000. Community Sales Managers, Felicia Smith and Lindsay Esparza taking a look at the flagpole and the beautiful US flag that we installed. Stop in to take a look at the model, say "Hi" to Felice and Lindsay and of course, take a look at the flag. Posted on March 24, 2013 by Super and filed under Events and tagged Flagpole new homes US Flag USA Flag. Our Flag matters. Our community matters. Please buy U.S. Flags Made in the USA! I am wondering how many heard the President talk last night. He spoke that creating good, middle-class jobs must be the North Star that guides our efforts. I watched but with a different perspective due to actions speak louder than words. The action of displaying American flags during the inaugural address last month that were made in Belgium, according to an article from the Reuters, spoke volumes. Actions speak louder than words and I heard our leadership loud and clear during the inaugural address. Our American leader stood in front of American flags imported from Belgium, the same flag that represents our freedom. If the American government doesn’t even buy American made products it expresses a total disrespect for American companies and disregard for the US economy, regardless of any speech spoken. The four factories that make up Flag Manufacturers Association of America (FMAA) were not contacted to bid on the inaugural flags. These factories embroider and hand sew the American flag and the quality is outstanding. 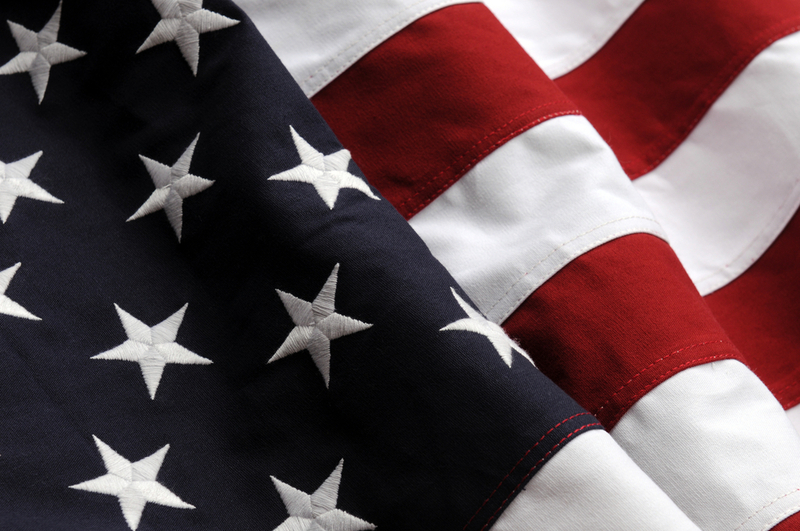 The flags produced by FMAA factories are 100% made in America. Not only sewn here but the fabric, dyes, thread, grommets and the rest of the components are produced in the USA. It was not a serious consideration to keep the job here with American businesses that employ American people who live, breath and spend their hard earned wages in America. I wonder how many American made foreign country flags are exported to those countries to proudly fly during historical events such as the inauguration of the President. We are a small business and understand the economic pressures of today’s world. We also understand the value behind selling US flags made in the USA even though we know we lose some business to our competitor’s that sell flags not made in America. Some things just matter and our Flag matters. Our Flag matters enough to keep its production in America. Could our US Congress follow in Minnesota’s foot-steps and enact a law requiring that all new American flags sold have to be made in America? American made US Flags should be essential, especially if they are to be flown over or hung inside US Government Buildings, or given to family members of fallen Americans at US Military Burial Services. I listened to the words, yet Belgium is to the East and certainly not guided by any North Star to create good, middle-class jobs for America. Posted on February 13, 2013 by Super and filed under Custom Flag Company News, Events and tagged America Made in the USA Patriotic President Small Business US Flag USA Flag.